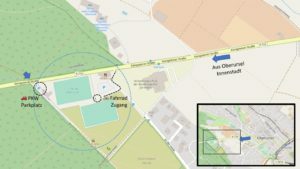 We are located close to the Stierstädter Heide at Königsteiner Straße 1. By car: Leave central Oberursel on the street crossing Altkönigstraße / Eppsteiner Straße / Füllerstraße in the direction of Königstein. Pass the Korean restaurant “Am Heidekrug” and enter our parking lot behind our first soccer field. 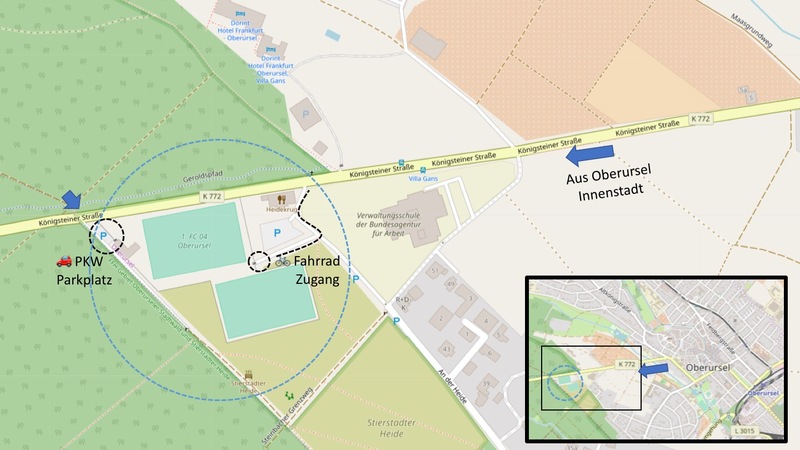 By bike or walking: You can approach us through the woods on the Geroldspfad, coming from the Stierstädter Heide or Heidekrug by using our east entrance. Bus: Line x26 (to Wiesbaden) and x27 (to Königstein) depart at Oberursel Bahnhof (Oberursel station). Use the stop “Villa Gans”, which is close-by.